 Mouse anti Cyclin D1 antibody, clone CD1.1 recognizes cyclin D1, a 295 amino acid, ~36 kDa nuclear protein which belongs to the highly conserved cyclin family. 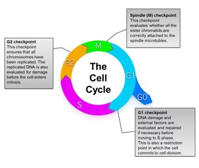 D type cyclins are predominantly expressed in the G1 phase of the cell cycle. Cyclin D1 study is of interest in various forms of malignancy and over expression has been linked to poor prognosis (Bartkova et al. 1995). Spleen cells from immunised mice were fused with cells of the mouse Sp-2 myeloma cell line. Wykoff, C.C. et al. (2004) Gene array of VHL mutation and hypoxia shows novel hypoxia-induced genes and that cyclin D1 is a VHL target gene. Br J Cancer. 90 (6): 1235-43. Zeldich, E. et al. (2012) Enamel matrix derivative stimulates human gingival fibroblast proliferation via ERK. J Dent Res. 86: 41-6. Jovanovic, I.P. et al. (2014) Clinical significance of Cyclin D1, FGF3 and p21 protein expression in laryngeal squamous cell carcinoma. J BUON. 19 (4): 944-52.